Oh yeah, and one other thing – Reloop as always is more affordable – a pair of RP-8000 MK2s costs the same as one SL-1200 MK7. (One deck is EUR600 / USD700 / GBP525). And there’s a trend beyond these decks. Mechanical engineers rejoice – the age of the motor is here. We’re seeing digitally controlled motors for haptic feedback, as on the new Native Instruments S4 DJ controllers. And we’re seeing digital control on motors providing greater reliability, more precision, and broader ranges of speed on conventional turntables. So digitally controlled motors were what Technics was boasting earlier this week with their SL-1200 MK7, which they say borrows from Blu-Ray drive technology (Technics is a Panasonic brand). Reloop have gone one step further on the RP-8000 MK2. “Platter Play” rotates the turntable platter at different speeds to produce different pitches – rapidly. You can use the colored pads on the turntable, or connect an external MIDI keyboard. Serato and Reloop have built a close relationship with turntablists; this lets them build the vinyl deck into a more versatile instrument. It’s still an analog/mechanical device, but with a greater range of playing options thanks to digital tech under the hook. Call it digital-kinetic-mechanical. With quartz lock on, the same mechanism will simply play your records more accurately at a steady pitch (0%). 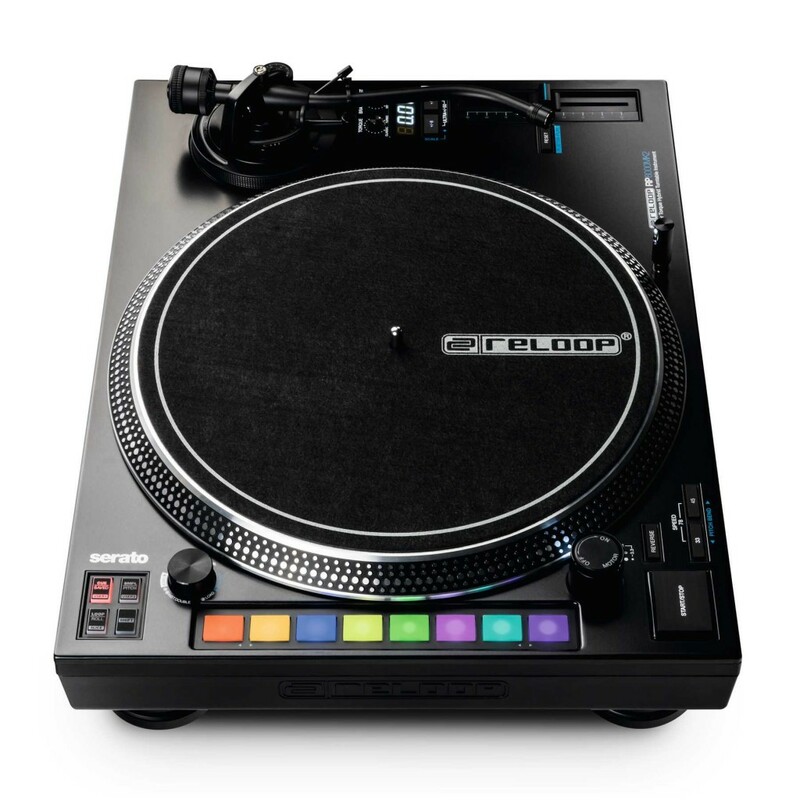 The pitch fader and motor mechanism are both available on the RP-7000 MK2, for more traditional turntable operation The performance pad melodic control is on the 8000, the one intended for Serato users. I expect some people want their controller and their deck separate – playing vinyl means bringing actual vinyl records, and playing digital means using a controller and computer, or for many people, just a USB stick and CDJs. If you want that, you can grab the RP-7000 MK2 for just 500 bucks a deck, minus the controller features. On the RP-8000 MK2, you get a deck that adds digital features you’ve seen on controllers and CDJs directly on the deck. 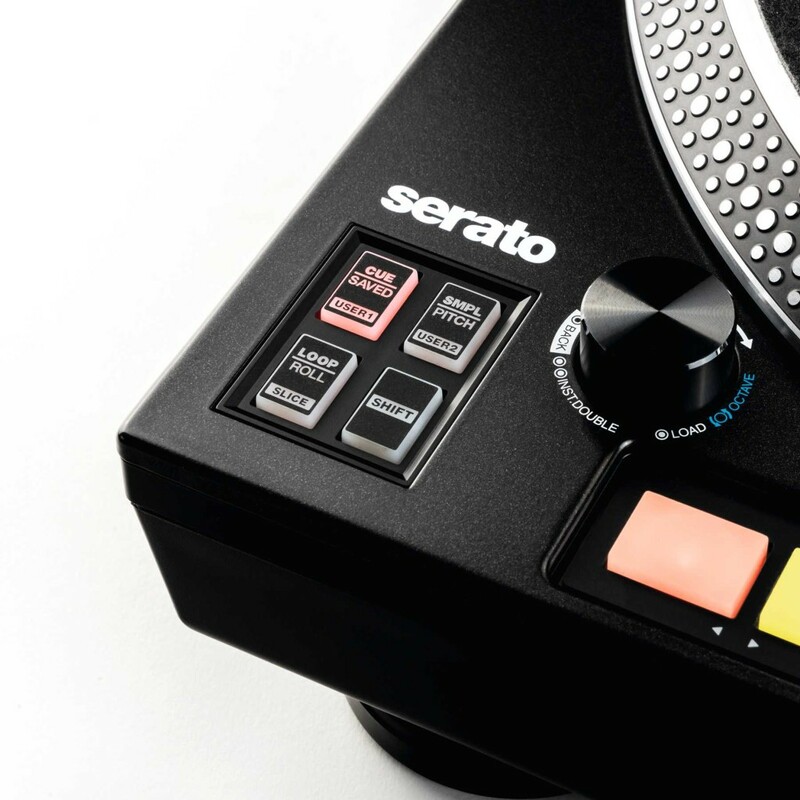 As on the original RP-8000, Reloop are the first to offer Serato integration. And it’s implemented as MIDI, so you can work with third-party software as well. The market is obviously DVS users. The original RP offered Cue, Loop, Sample and Slicer modes with triggers on the left-hand side. Plus you get a digital readout above the pitch fader. On the MK2, the numeric display gives you even more feedback: pitch, BPM, deck assignment, scales and notes, elapsed/remaining time of current track, plus firmware settings. New playback and platter control options on the Reloop RP-8000 MK2. The pads have new performance modes, too: Cue, Sampler, Saved Loops, Pitch Play, Loop, Loop Roll, Slicer, and two user-assignable modes (for whatever functions you want). Reloop have also upgraded the tone arm base for greater reliability and more adjustments. And those performance modes look great – 22 scales and 34 notes, plus up to 9 user-defined scales. For more integration, Reloop are also offering the Reloop Elite, a DVS-focused mixer with a bunch of I/O, displays that integrate with the software, and more RGB-colored performance triggers and other shortcuts. 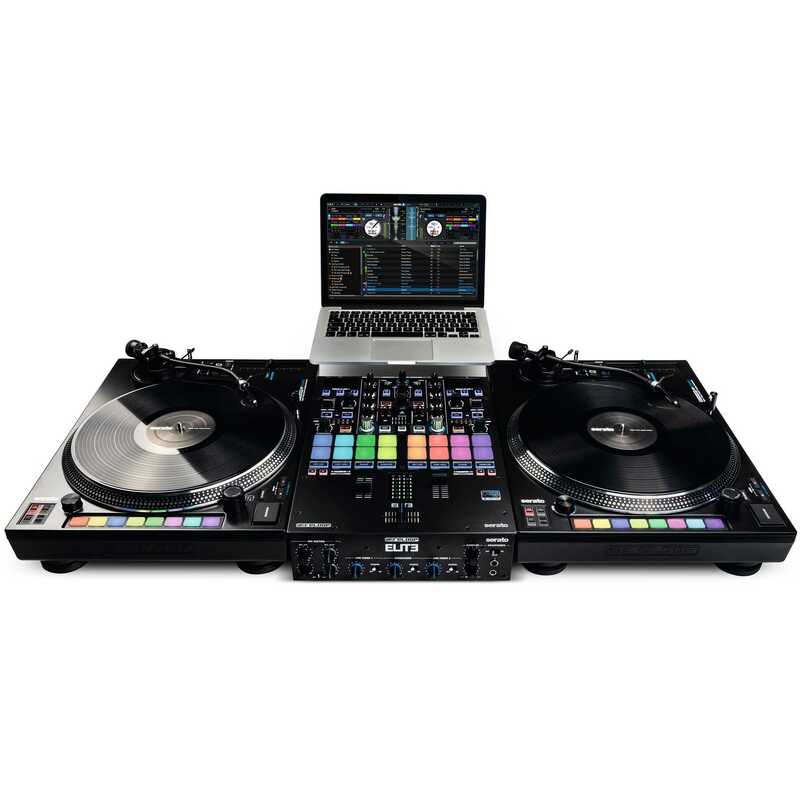 One of these things is not like the others: the new kit still requires a laptop to run Serato. 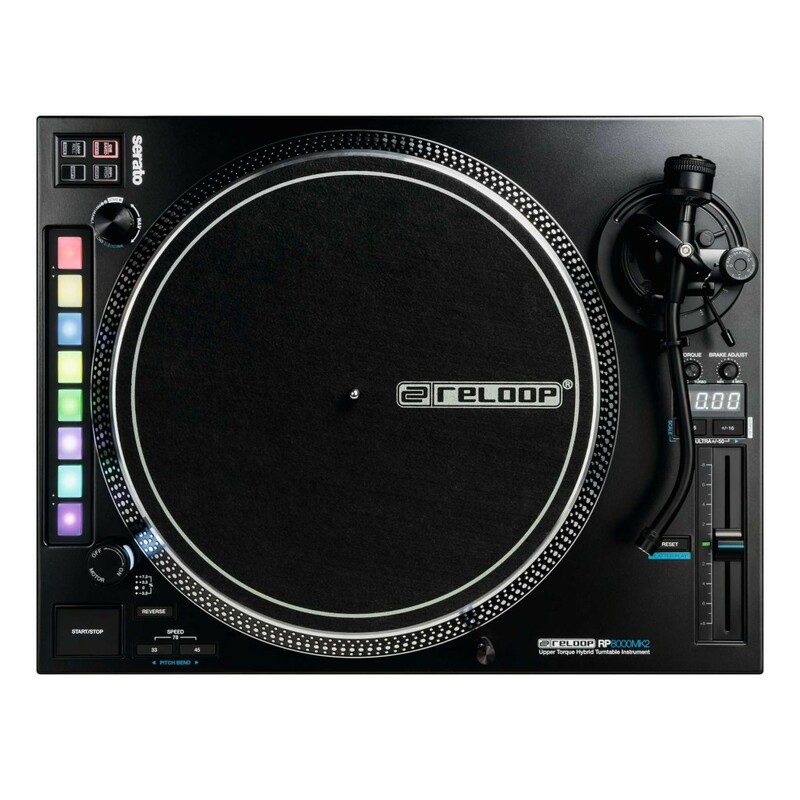 As for Reloop, they’re totally killing it with affordable turntables. If you just want some vinyl playback and basic DJing for your home or studio, in December they also unveiled the RP-2000 USB MK2. USB interface (for digitization or DVS control), direct drive control (so you can scratch on it), under 300 bucks.